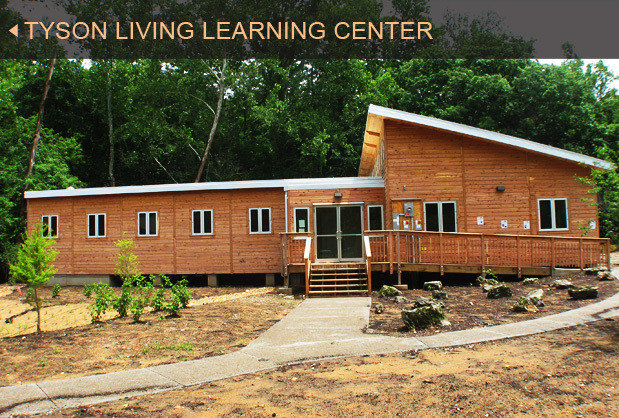 Green Building, Green Building Projects, Tyson Living Learning Center, Clivus Multrum Inc. The Tyson Research Center at Washington University in St. Louis Missouri is a rapidly growing department that focuses on ecology and environmental biology. Increased demand for space to perform research teaching and outreach as well as an National Science Foundation grant for a summer program led the University to commission a new building to fulfill its needs. Of course, the nature of the work to be performed at the new Living Learning Center and the University's dedication to sustainability demanded that the new center be built to the highest level of sustainability. A team was established to work with Hellmuth and Bicknese Architects to develop a plan for moving forward. That team decided that the best guide for their project was the Living Building Challenge – a green building program dedicated to cutting edge sustainable structures. Living Building Challenge requires that all water is managed on-site. In order to achieve that end, the team decided to go with Clivus Multrum composting toilet and greywater systems. One of the team's goals was to eliminate the concept of waste from the Living Learning Center. One M12 composter accommodates up to 30,000 uses per year and converts excreta into a safe, stable soil amendment. The greywater system collects water from all the sinks in the building in a tank where particulates settle to the bottom. When about 35 gallons are accumulated, the water is flooded through a series of half-round polyethylene pipes that are buried no more than 12 inches below the soil surface of a 162-square-foot garden.